The news that Vietnam has opened up its doors to blueberry imports from the US has been welcomed by blueberry growers and shippers across the country. Suppliers are very positive about the new development and are looking forward to shipping the first berries to the country. Jeff Malensky of Oregon Berry Packing said that this is good news for all blueberry growers, not just exporters. "This is definitely a benefit to anyone in the US that is growing blueberries, including growers, packers, shippers and exporters," he noted. "It's always good when you open up new markets. Additionally, any time you move product from existing markets to a new market, it opens up opportunities for everyone. One aspect helping prospective exporters to Vietnam is the established presence blueberries have in the Asian region. Suppliers note that the market is highly receptive to the fruit due to the health benefits and generally positive acceptance. "Blueberries are a positive product and are well received in any market they go into," Malensky observed. He added that Vietnam will be a good fit for the company as they already have a presence in other similar markets in the region. "Oregon Berry Packing is very interested in exporting to Vietnam. It's a growing market in that part of the world and the next step for us is finding the right people there and setting up partnerships. We also have to read the protocols for exporting fruit to Vietnam. These are very country-specific, however we have been through this for other countries and don't foresee any problems." "There has been a lot of work behind the scenes by US Highbush Blueberry Council, Oregon Blueberry Commission and others to get this going. We are very positive and excited about it." North Bay Produce, a Michigan-based grower-owned cooperative, said it is also positive about the news. While the company is currently still assessing whether to export blueberries to Vietnam, it noted the overall positive effect it will have on the industry. "We are very excited about it and there are a lot of opportunities for growers on the eastern seaboard as well. 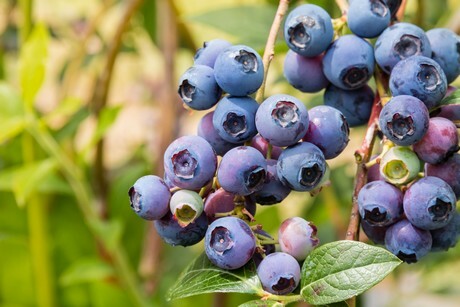 Michigan, Georgia, the Carolina’s, as well as Florida which should start seeing a few blueberries in a couple of weeks," said North Bay Produce's Eric Olshove. He cautioned though that there is still work to be done, with promotions being a big part of this. "Berries are loved by the Asian market for their health benefits and taste. Vietnam is probably going to be similar to China when that market opened up. It will not necessarily be an overnight success and will likely take time to educate the consumer about the benefits of blueberries. We also need to learn what kind of market penetration blueberries already have in Vietnam and how much, if any, they receive from other regions like New Zealand and even China."